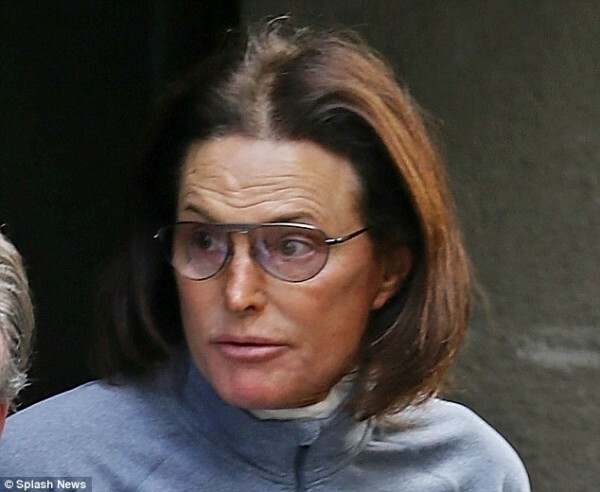 Kim K’s Father, Bruce Jenner Is No More A Man, He Is Now A Woman!!! Bruce Jenner, the Olympic gold medalist and member of the Kardashian family, ended months of speculation Friday night when he announced during an ABC television special that he can now be identified as a woman and was making the transition from male to female. The announcement made him among the highest-profile people to publicly come out as transgender. For the purpose of the interview, Mr. Jenner said he preferred the pronoun “he,” and Ms. Sawyer called him Bruce. He said that he had been undergoing hormone therapy for a year and a half but had not made up his mind about reassignment surgery. He declined to provide the name he might use during or after his transition, citing privacy concerns. Rumors about a possible transition have been trumpeted for months by tabloids and celebrity magazines. He and his third wife, the former Kris Kardashian, who divorced in 2014, and members of the extended Kardashian family — among television’s biggest reality stars — had remained coy about his plans. Kris Jenner did not comment for the special but later sent out a Twitter messagesupporting him. Mr. Jenner’s first two wives, Chrystie Crownover and Linda Thompson, also expressed their support, as did all six of Mr. Jenner’s children and his Kardashian stepchildren. Mr. Jenner parlayed fame as the decathlon champion at the 1976 Summer Olympics in Montreal into a sporadic acting career that included movies like the Village People vehicle “Can’t Stop the Music” in 1980. He returned to the public eye for a new generation when he became a central figure on “Keeping Up With the Kardashians,” which made its debut on the E! network in 2007. E! will also chronicle his transition in a documentary series that will begin broadcasting this summer. With Friday night’s announcement, Mr. Jenner joins transgender celebrities like the actress Laverne Cox; Lana Wachowski, who directed the “Matrix” films with her brother, Andy; and Chaz Bono, Sonny and Cher’s son. Mr. Jenner’s announcement is the latest example of the growing presence of transgender people and characters on television. Several reality series, some still in the planning stages, are centered on transgender people, like TLC’s “All That Jazz,” about the teenage transgender activist Jazz Jennings, and VH1’s “TransAmerica,” about the model and activist Carmen Carrera. “Every transgender person’s journey is unique, and by choosing to share this story, Bruce Jenner adds another layer to America’s understanding of what it means to be transgender,” Mr. Adams said in a statement on Friday night. Mr. Adams, who is transgender, said that media portrayals of transgender people had improved since he transitioned 18 years ago. But, he said, such reports need to more fully explore what it means to be transgender. “When the media is talking to transgender people now, they’re still focused on that coming-out narrative and not very focused on giving that portrayal of transgender people as well-rounded family individuals,” he said. Mr. Jenner reflected that he had appeared in more than 400 episodes of “Keeping Up With the Kardashians” over almost eight years. He said his secret had eaten away at him all that time. Group submits Lagos Government deserves No Tax from Residents unless..